Cholangitis refers to infection of the biliary tract. It is associated with high morbidity and mortality when left untreated, and therefore is an important condition to recognise and manage. It is caused by a combination of biliary outflow obstruction* and biliary infection. During an obstruction, stasis of fluid combined with elevated intraluminal pressure allows the bacterial colonisation of the biliary tree to become pathological. Any condition which causes occlusion of the biliary tree has the potential to cause cholangitis. The most common causes are gallstones, ERCP (iatrogenic), and cholangiocarcinoma. Rarer causes include pancreatitis, primary sclerosing cholangitis, ischaemic cholangiopathy, and parasitic infections. The most common infective organisms implicated in cholangitis are Escherichia Coli (27%), Klebsiella species (16%), and Enterococcus (15%). 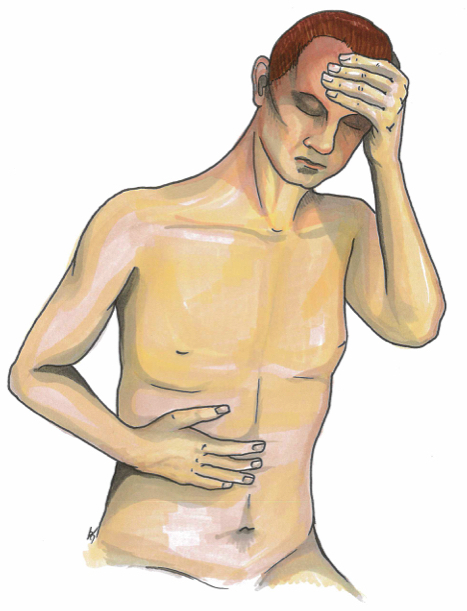 The common presenting symptoms of cholangitis are right upper quadrant pain, fever,and jaundice (when bilirubin >50 μmol/L). The patient may also complain of pruritus (itching), as a result of bile accumulation, and pale stool with dark urine, from the obstructive jaundice. The patient’s past medical history may include gallstones, recent biliary tract instrumentation (i.e. ERCP/cholecystectomy), or previous cholangitis. Medication including oral contraceptive pill and fibrates can increase the risk, and a lipid-rich diet may be indicative of gallstones (as a potential underlying cause). On examination, patients may have pyrexia (in 90% of cases), rigors, jaundice, right upper quadrant tenderness, confusion, hypotension, and tachycardia may be present. Cholangitis is not a complete diagnosis, as there is nearly always an underlying cause that should be identified and treated. The clinical features of cholangitis are very similar to other biliary pathologies. A biliary colic will present with a colicky RUQ pain yet without fever, leucocytosis, or jaundice. Cholecystitis will present with RUQ pain and fever yet jaundice will be absent. Routine bloods should be taken, especially FBC (leucocytosis is found in the vast majority of patients) and LFTs (showing a raised ALP ± GGT with a raised bilirubin). Blood cultures should always be taken in suspected cases, despite only being positive in 20% of cases. The best opportunity to obtain a positive blood culture is early, before the start of broad spectrum antibiotics. An ultrasound scan of the biliary tract will show bile duct dilation. 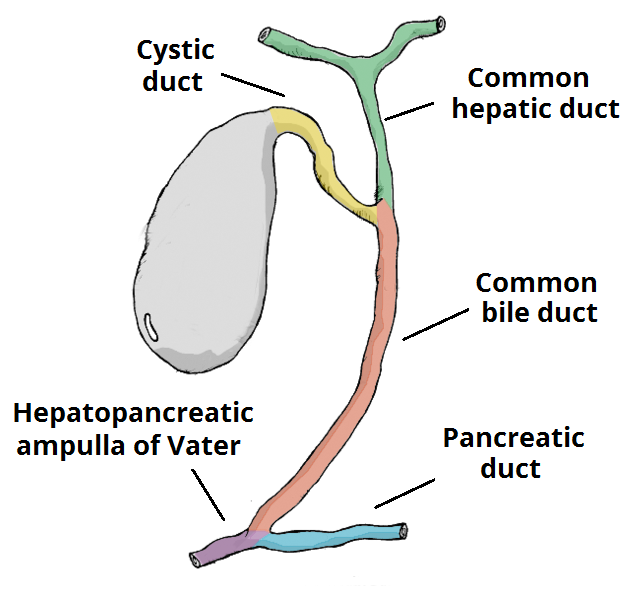 The common bile duct is usually less than 6mm in size (it may be greater in the elderly and those who have had previous cholecystectomy), so any diameter larger than this suggests dilatation. Ultrasound imaging may also demonstrate the presence an underlying cause (e.g. gallstones). The gold standard investigation for cholangitis is ERCP, as it is both diagnostic and therapeutic. Many endoscopists may require an MRCP prior to intervention, however to obtain detailed imaging of the biliary system prior to scoping. 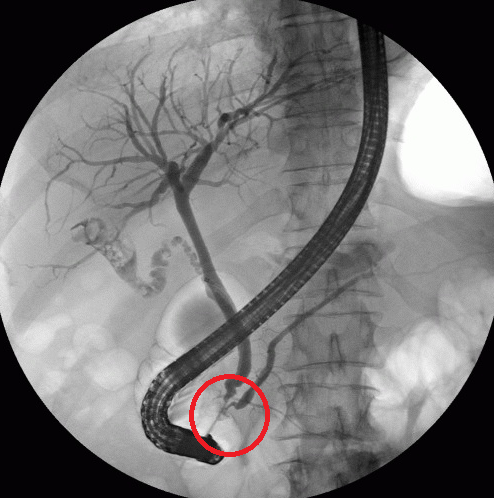 Figure 3 – ERCP showing an obstruction in the biliary tree, resulting in cholangitis. Patients with cholangitis may present with sepsis, so should be managed promptly, appropriately and often in a higher level of care. Ensure IV access is gained with sufficient fluid resuscitation, routine bloods, and blood cultures taken early, with broad spectrum IV antibiotic therapy instigated (e.g. co-amoxiclav + metronidazole), as per local guidelines. The definitive management of cholangitis is via endoscopic biliary decompression, removing the cause of the blocked biliary tree. For patients who are deteriorating, this may need to be done earlier than those who are responding well to antibiotic therapy. ERCP, with or without a sphincterotomy and stenting, should clear any obstruction. In patients who may be too sick to tolerate ERCP, percutaneous transhepatic cholangiograpy (PTC) is the second line intervention. In the long-term, patients may require a cholecystectomy if gallstones were the underlying cause. Any other cause for the cholangitis identified should also be managed as appropriate. The mortality of cholangitis is around 5-10% in those who are given antibiotic therapy. Early ERCP and early antibiotic therapy have both been found to improve patient outcomes. Factors which increase the mortality rate include delayed diagnosis, liver failure, cirrhosis, CKD, hypotension, female gender, and >50yrs. Which of the following is not true about cholangitis? Which of the following is Reynolds pentad? Which of the following is not a typical abnormal laboratory finding in cholangitis? What is the next step in management of an otherwise healthy patient diagnosed with cholangitis and haemodynamic instability (biliary sepsis)?